Installing a new roof on your home is a big decision and a great investment. This is because your choice of brand, style, and material will all play a role in enhancing your home’s beauty and functionality. While there may be numerous brands available today, only a select few can measure up to the quality of Owens Corning®. Seal – Two of the most common roofing issues are rot and mold. With our Total Protection Roofing System from Owens Corning, you can prevent these from developing. Our system comes with WeatherLock® Self-Sealing Ice and Water Barrier, and Deck Defense® and ProArmor® underlayment that help create a waterproof membrane. The barriers are designed to protect the moisture-prone areas of the roof, such as vents and valleys. The underlayment products, on the other hand, serve as the final defense between your home and the elements. Defend – As a major part of your exterior, your Detroit roofing needs to be strong enough to combat the damaging effects of nature’s elements. The Total Protection Roofing System uses starter shingles to protect the leaves against blow-offs and Owens Corning shingles to provide durability and aesthetics. Lastly, hip and ridge shingles are placed on your system to protect roof peaks against the weather and give your roof a finished look. Breathe – Poor ventilation is one of the top causes of roof deterioration and ice damming. Through our system’s intake and exhaust ventilation, you can regulate airflow in your attic, as well as reduce excessive heat and moisture buildup. 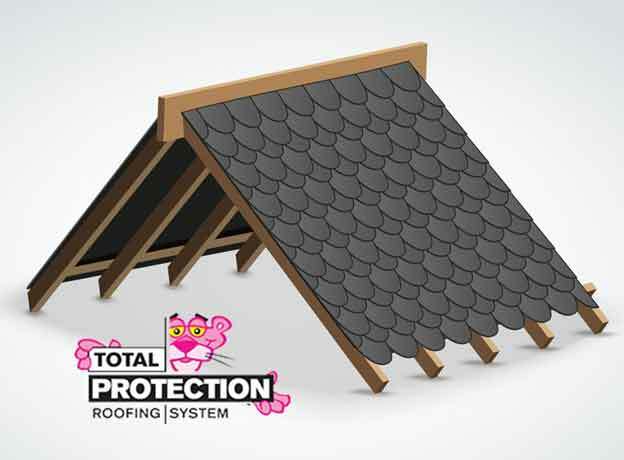 The Total Protection Roofing System helps you maximize the top-quality performance of Owens Corning roof components. Through these, you can enjoy a more efficient and comfortable living environment. To learn more about this system, you can consult Kroll Construction, one of the few Owens Corning-certified roofing contractors in Detroit. Simply give us a call at (888) 338-6340 or complete our form, and we’ll get in touch with you as soon as we can.